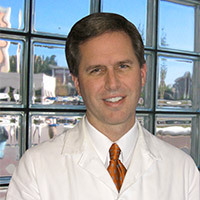 Dr. Robert Brian Cameron currently serves as the Director of Thoracic Oncology at University of California, Los Angeles School of Medicine, Department of Surgery. He also holds the position of Assistant Professor of Cardiothoracic and Surgical Oncology. Dr. Cameron is the Director of Thoracic Oncology at UCLA while also working as the Chief of Thoracic Surgery at the West Los Angeles VA Medical Center. Dr. Cameron attended Stanford University and earned degrees in medieval studies and biology. He then went on to attend the University of California, Los Angles School of Medicine. After receiving his medical degree, Dr. Cameron continued at UCLA to complete his General Surgery Residency. He then went on to an Oncology Fellowship at the National Cancer Institute and another Residency in Cardiothoracic Surgery at Cornell-New York Hospital. Dr. Cameron is Board Certified in General Surgery and Cardiothoracic Surgery. For patients with pleural mesothelioma, cardiothoracic surgery is often recommended as a part of their mesothelioma treatment. After his training, Dr. Cameron entered the academic field by taking a position as Assistant Professor of Surgery at the University of California San Francisco in 1994. He then left three years later to become an assistant and associate Professor of Surgery at UCLA where he stayed and serves his current position as the Director of Thoracic Oncology. Dr. Cameron research interests include mesothelioma treatment, thoracic oncology, lung volume reduction surgery, thoracic pain management, Video-Assisted Thoracic Surgery, lasers and bronchial/esophageal stents, cancer and immunotherapy, cancer and angiogenesis.